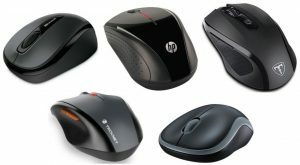 We continue our adventures in finding the best computer accessories in the market, and today we took the time to focus on a staple-point of a computer setup — a wireless mouse. As seen in our best wireless keyboard under $50 guide, there are some very solid models out there in the wireless realm that are quite affordable. For those on a budget, we made sure to keep our range for mice at under $20 or less. Let’s see what we found today. Let’s face it: wireless technology is now the norm. Quite a few years ago there was the debate of wired vs. wireless, especially when it came to computer accessories. We personally use to be hesitant to have wired accessories since we were afraid of lag or the time in took between sending information from the accessory to computer. However, nowadays, it’s almost pointless to have a wired keyboard or mouse since that thought is a thing of the past with the advancement of technology. The overall convenience, versatility and affordability wireless gear makes the decision a no-brainer. 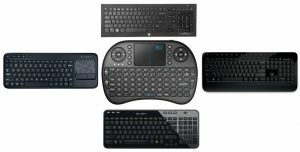 Today we took the time find budget-friendly wireless keyboards, particularly under $50.